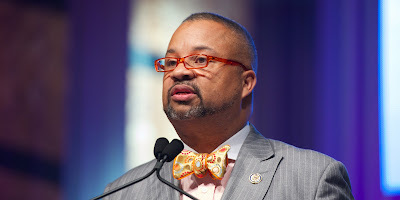 During an interview with the political site PolitikerNJ, NJ Congressman Donald Payne (A Hillary Clinton supporter) voiced his displeasure with democratic candidate Bernie Sanders. Payne went so far as to say that "Sanders Is Trying to ‘Damage and Destroy’ Democratic Party." On Hillary Clinton winning the general election: “Last time I checked, she is leading in the popular vote. I believe and I am confident that she will win the Electoral College and she will have the popular vote. She is heads above either candidate,” said Payne, referring to both Sanders and presumptive Republican nominee Donald Trump.